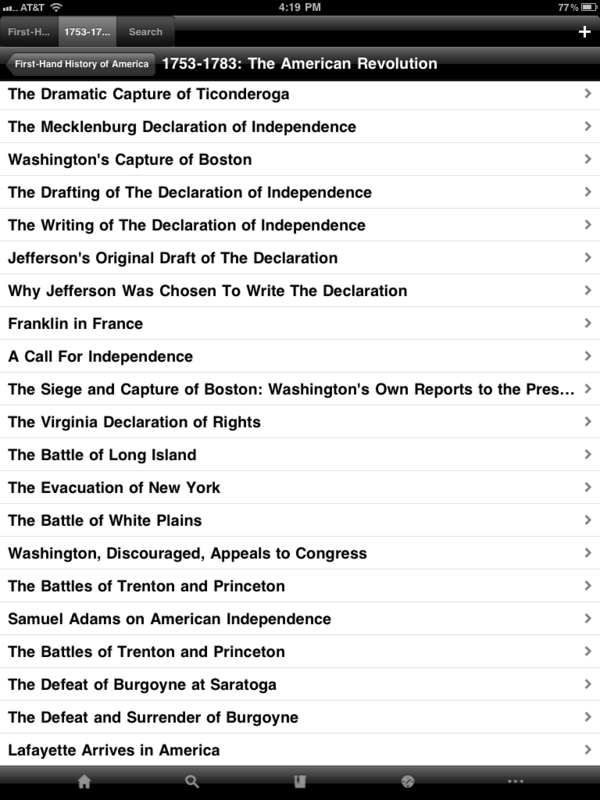 This is the absolute best app for American History available including nearly 700 documents and accounts. 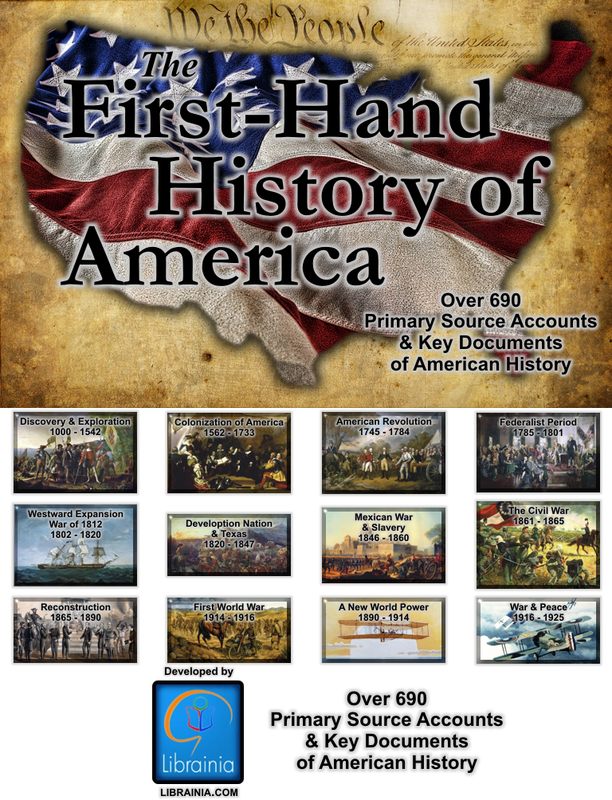 This one-of-a-kind set includes 12 volumes of original sources spanning 9 centuries of American history. 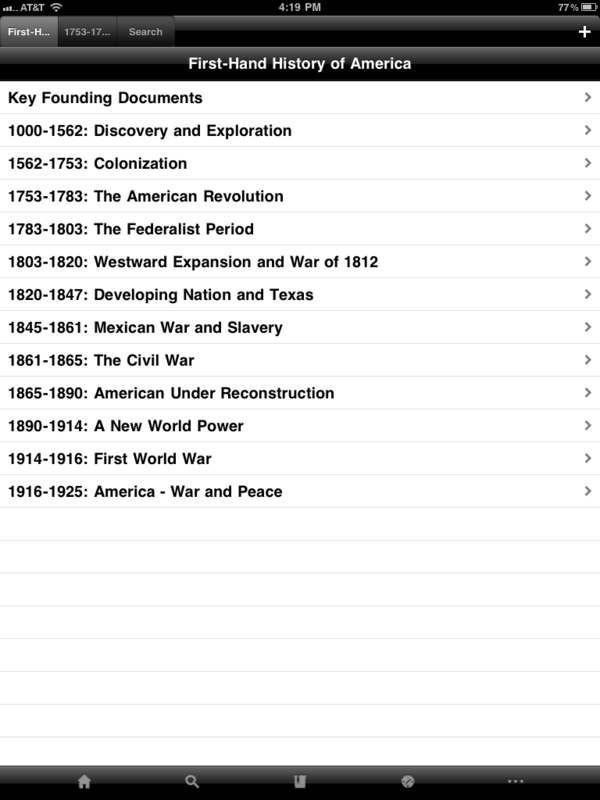 No other app gives you more firsthand accounts and documents of American history than this unique collection. "This is pure history, without all the filters of contemporary interpretation. ...a welcome addition to the library of anyone who wants to better understand where America has come from-and where we should be now." Leisler's Rebellion - "A Gentleman of the City of New York"
Washington Resigns His Commission to Congress - Rev. William Gordon, D.D. 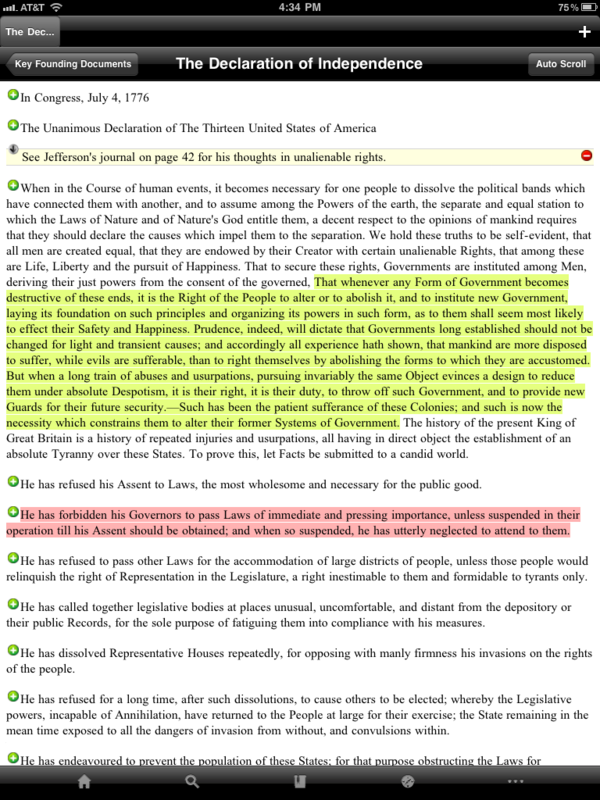 Why the Annexation of Texas was Opposed - William Ellery Channing, D. D.
The San Francisco Earthquake and Fire - New York "Sun"
The Dawes Plan to Collect from Germany - A Contemporary Analysis from "Current Opinion"